The main gates, flanked by side gates, form the centre piece of a flat curve. 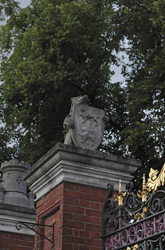 The four gateposts are stone and brick plinths and stone capitals surmounted by, innermost, a swan holding the Lygon Arms, and a bear and ragged staff each side of the main gates, the rest each with a castle with four small turrets at its base. 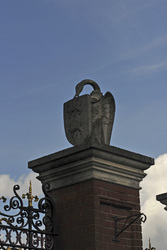 A wall defines the curve supporting three short brick pillars each side of the gates with wrought iron panels between them which harmonise with but do not match the main gates. 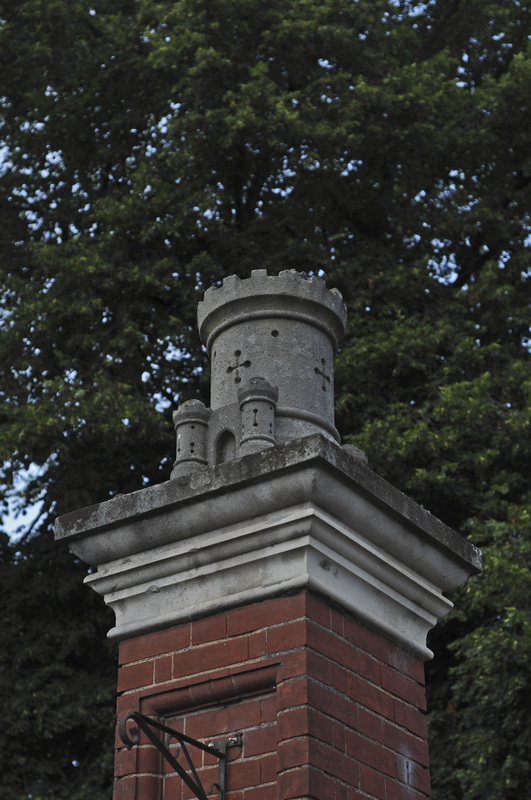 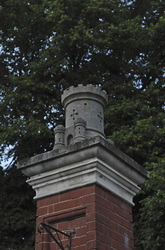 The castles on four of the pillars refer to the arms of the City of Worcester. 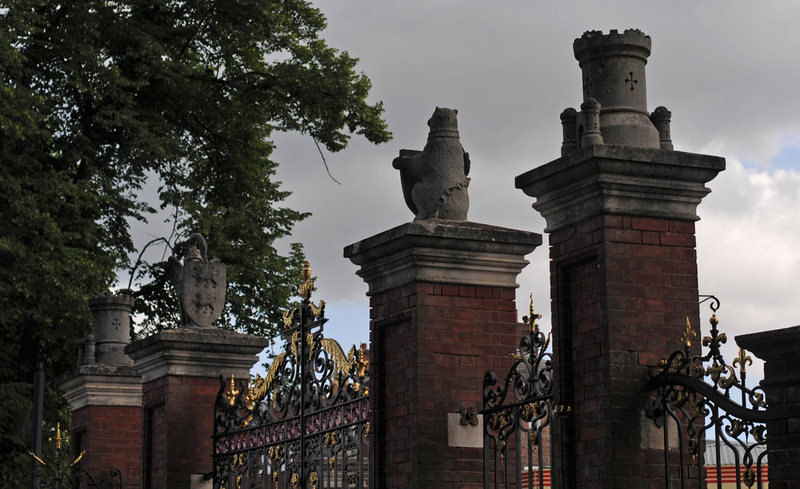 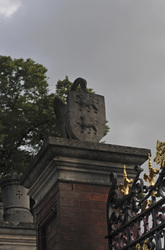 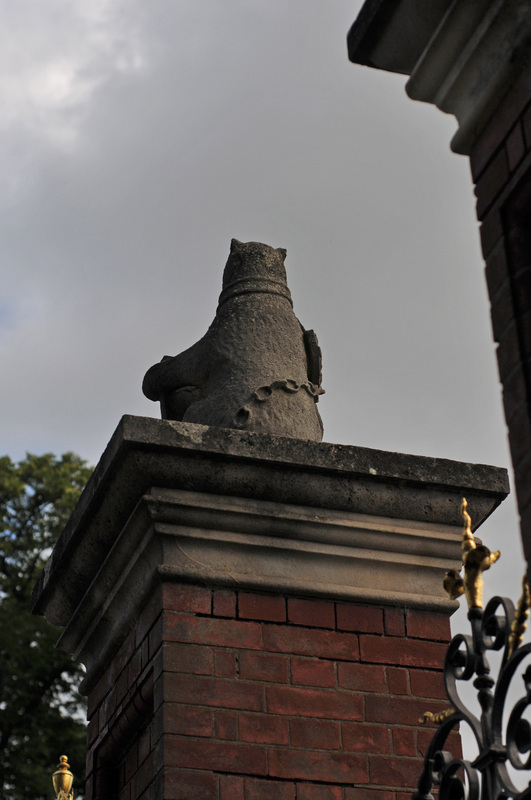 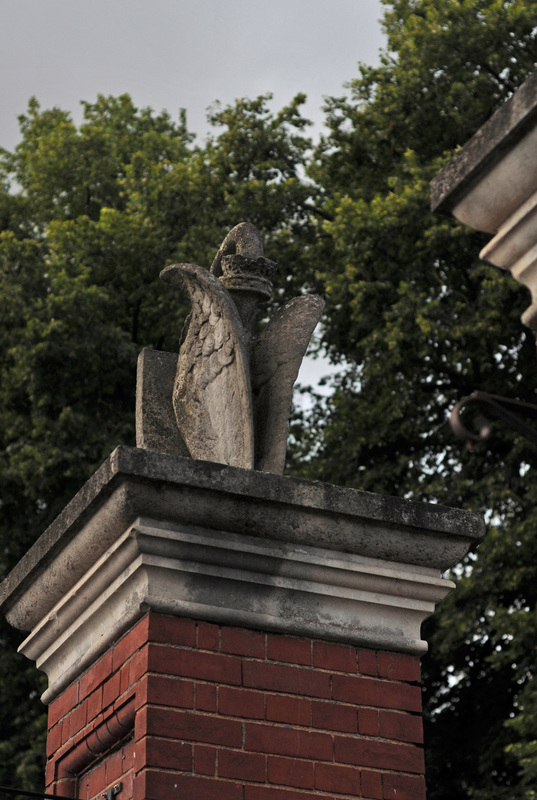 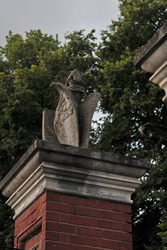 The swan and bear and ragged staff on the main gateposts are badges of Earl Beauchamp. 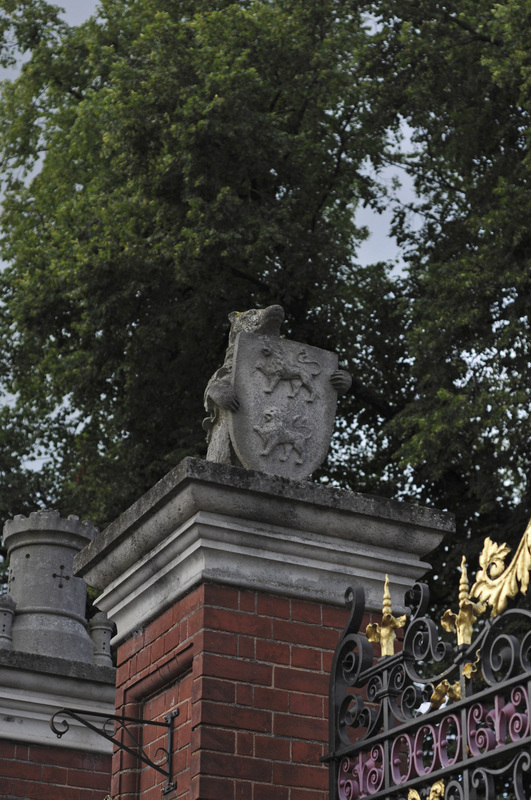 All the wrought iron panels have been recently repaired, repainted and gilded. Pitchcroft, a large area of river meadows, came under the control of Worcester City in the 1890s. Considerable difficulties arose about commoners rights, and rights of way, which impeded the efforts of the council to give access to citizens for recreation, but these were overcome by the late 1890s. Earl Beauchamp was Mayor of Worcester in 1894; he presented these gates to the city before he left in April 1899 to govern New South Wales. 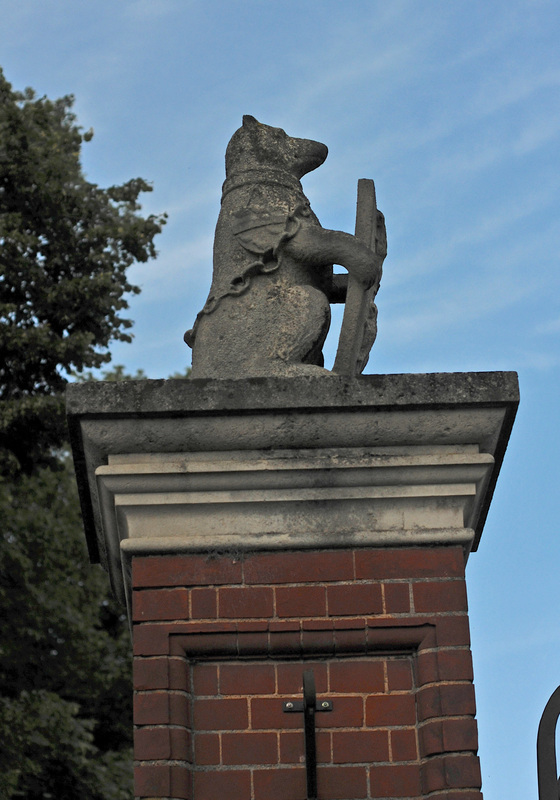 By then the area was fenced and an entrance fee of 1/- was charged for the April races , the first time this had been done.